Photographs from the 2014 Wilderness Act Performance Series at the Outdoor Activity Center in Atlanta, GA. 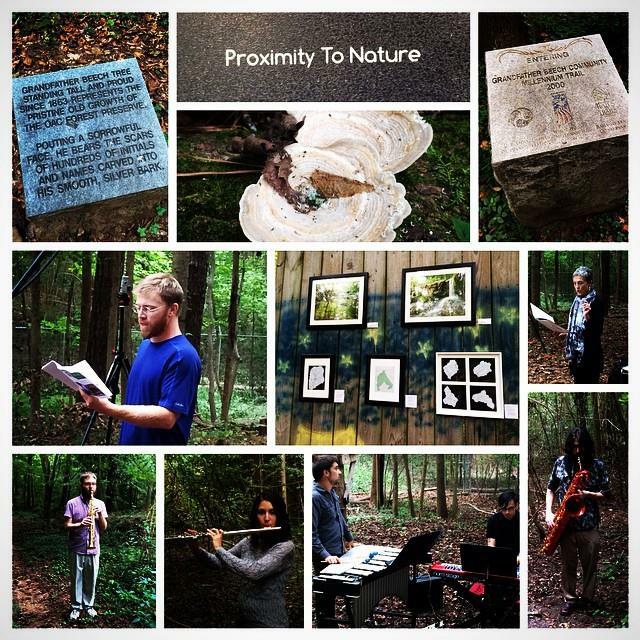 Proximity to Nature by Shawn Taylor and Proximity Viz, LLC. Left to right, middle: Stephen Wood, composer/director; Marti Keller, poet. Bottom: Tim Crump, saxophone; Jessica Sherer, flute; Nick Johns, piano/Corey Denham, percussion; Eric Fontaine, saxophone. 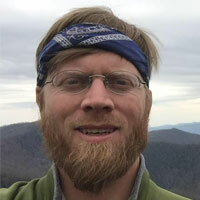 Stephen Wood is an Atlanta-based composer, performer, and naturalist who creates classical and jazz music in conversation with wilderness advocacy and environmental education. Stephen Wood in Southern Nantahala Wilderness Area. I asked Stephen, who is a member of the Landscape Music Composers Network, to share some of the ideas and experiences behind his innovative concerts and educational programs, in particular, and to elucidate his vision of how music acts as a catalyst for reconnecting us to our environment.